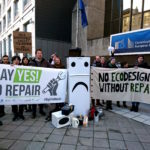 ECOS, “the only environmental organisation worldwide specialised in standardisation and technical product policies” started a campaign on social media to encourage and pressure the European Union to include smartphones in its upcoming ground-breaking work on ecodesign, which promises to prioritise longevity for small electronics. Coolproducts, a coalition of environmental NGOs, with the support of over 30 stakeholders across Europe and beyond, urge you to regulate smartphones by 2021 with requirements that will make smartphones more energy efficient and more durable, repairable and recyclable. 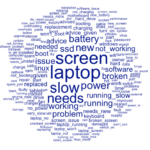 Ambitious Ecodesign requirements can ensure access to key components like the battery, improve shock and water resistance and make software updates and spare parts available for a set amount of time. Furthermore, we urge the European Commission to give smartphones an Energy Label, so consumers can find the best products on the market and businesses are incentivised to continue improving their products. The label should indicate a repair rating or a free warranty period to promote their durability. We know you do not have one, but there are currently more mobile phones in use than EU citizens. Over seven billion smartphones have been manufactured since 2007. Their impact on our planet is substantial, from its production, all the way to its disposal. Smartphones are made using mineral resources, possibly conflict minerals, rare earth metals, toxic materials and plastics. Air, water and soil are polluted to extract these elements, and our planet is drained of valuable resources. Some of the toxic chemicals found in phones can even affect your health if released into nature when the phone is disposed of. 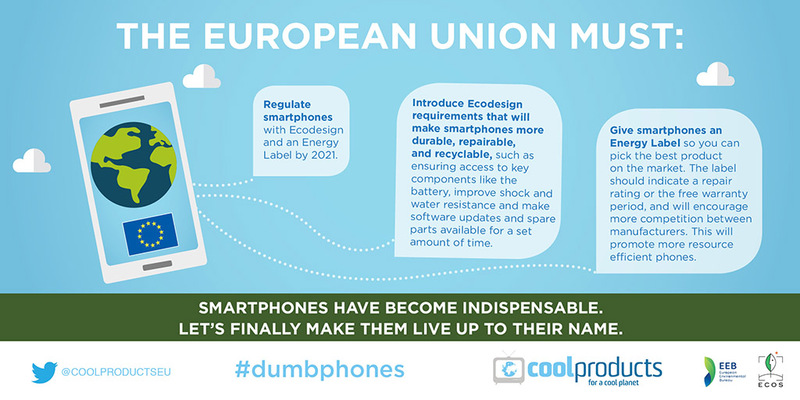 Smartphones have become indispensable for nearly all Europeans but can and will have devastating impacts on the environment if the way they are designed is not improved. Research by the European Commission shows that the Ecodesign and Energy Labelling policies will cut the energy bill of every European home by nearly 500€ annually by 2020. 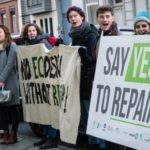 Through these extremely powerful and effective policies, the European Union is also looking at helping citizens by improving product repairability, upgradeability, and recyclability, as well as reducing their toxicity. Although the European Commission has announced an exploratory study on ICT products, we call for fast, efficient actions. The solution is already available through Ecodesign and Energy Labelling measures, and Europe has the chance to show global leadership in setting measures on smartphones that will influence the rest of the world and stop wasting resources, energy and money today if it wants to. With this, the European Union has a chance to make smartphones finally live up to their name.